APAW recently purchased a horse trailer for the Amelia County Animal Shelter following an incident where the Animal Control Department had to borrow a horse trailer to pick up a sick pony that had been dumped by the side of the road on a bitterly cold day in December. It was a long, cold wait for both the pony and ACO Brian Wootton and ACO Eells before a willing veterinarian with a horse trailer could pick up the sick pony. Happily, the pony (named “DP” for “Ditch Pony”) has been successfully treated and adopted by the veterinarian who picked him up! 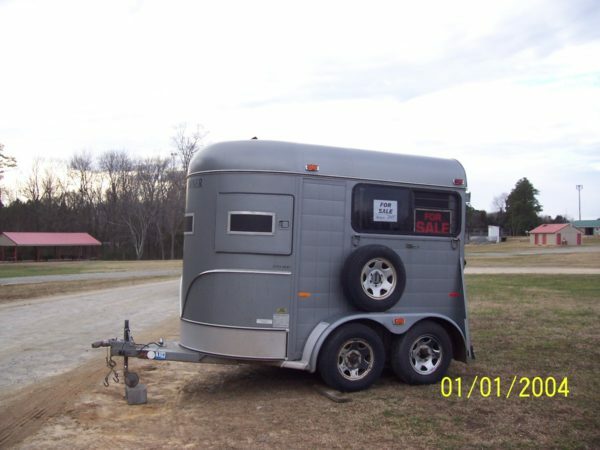 However, Amelia County Animal Control is receiving a growing number of calls for which a horse trailer is needed, to include loose horses and ponies, cows, goats and pigs. Citing budget constraints, Amelia County turned to APAW for help and APAW agreed to purchase a trailer for the shelter. ACO Eells located a suitable trailer in early January and arranged for its transport to the shelter where APAW presented a check for its purchase.